The following comments about attractions in Nigeria have been posted from individuals. We believe that the best reviews of Nigeria, Africa are written by travellers and holiday makers who have experienced Nigeria first hand and want to share their thoughts. Can you share yours? Please help us expand this section of our Nigeria World Guide. 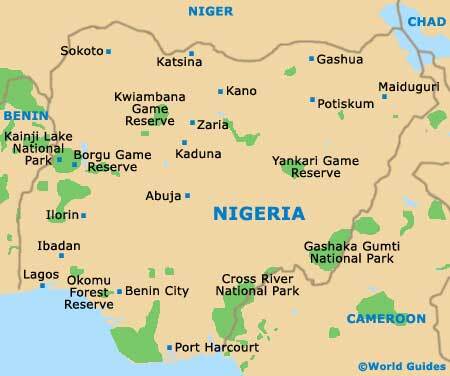 Let us know what you think about the attractions in Nigeria, Africa. 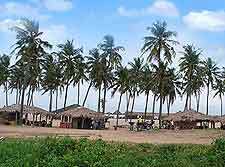 Submit comments about Nigeria attractions here. After seeing the Roots series on DVD, I decided to trace back my heritage to my ancestors - who were both part of an Igbo tribe in Nigeria before being captured and shipped to the US. Upon getting to Lagos, the Black Heritage Museum was my first port of call. Essential for African-Americans and Africans in general. A thoroughly moving experience. Friend, you haven't seen anything yet! Did you get the chance to go to the city of Kano and sample its Kurmi Market? Meant to be the largest one in Africa and I for one would definitely back that claim. Head to Lekki if you're looking purchase African art and locally made handicrafts. I must say, I had a better time than I thought I would while making my way down narrow alleys and ducking to avoid hitting my head on the low roofs. The bartering is quite fun too! We only had to venture a mile out of Lagos in order to enjoy Iga Idungaran - the Oba of Lagos' palatial residence. As could be expected, this is a wonderful building. The front is particularly impressive. I was told by a Nigerian friend in the UK, who hailed from Kano, that the best views of his hometown were provided by Dala Hill. How right he was! So moving that I felt a lump in my throat. What a beautiful country.